Welcome to our weekly linky party and blog hop! Thanks for all that shared their blogs and projects with us! 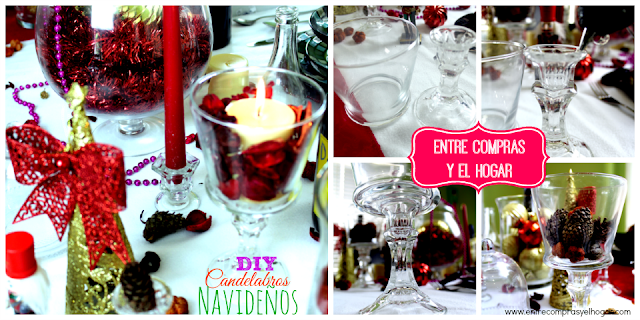 Candelabros Navidenos (Christmas candle holders) by Entre Compras y El Hogar. Really cute Christmas decor ideas! Christmas money tree by Crafty Journal. This blog is amazing! Tons of inspiration.